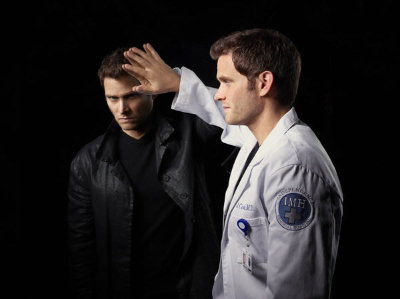 Dr. Jason Cole (Steven Pasquale, “Rescue Me”) is a highly respected neurosurgeon who has it all – a lucrative career, confident charm, the gift of compassion. But he also has a deep, dark secret. One morning when he wakes up disoriented in a wrecked hotel room amidst several near-naked women he’s never seen before, he knows one thing: it’s happening again. Every night at the same hour, something inside Jason changes, leaving him almost unrecognizable – seductive, devious, borderline sociopathic. This new man is his dangerous alternate personality who goes by the name of ‘Ian Price.’ For years as he’s battled Dissociative Identity Disorder (DID), Jason has been able to keep Ian in check with a powerful experimental sedative. But now his – their – body has developed a resistance to the serum, setting Ian free once again. And to make matters worse, after being suppressed for so long, Ian’s hell-bent on taking revenge on his oppressor. With everyone Jason cares about at risk – patients, friends, coworkers and even the woman he loves – he’s got to stop Ian once and for all. Will they find some common ground, or will they bring each other down? Hell hath no fury like an alter ego scorned. Also starring are Alana De La Garza (“Law & Order”), Mousa Kraish (“Superbad”), Michael Esper (“A Beautiful Mind”), Ruta Gedmintas (“The Borgias”) and Phylicia Rashad (“The Cosby Show”). “Do No Harm” is produced by Universal Television and Traugott Company. The executive producer/writer is David Schulner (“Desperate Housewives,” “The Event”). Peter Traugott (“Ringer”) and Rachel Kaplan (“Ringer”) also are executive producers. Michael Mayer (NBC’s “Smash”) is the co-executive producer and director.